China’s public holidays and weekends have amounted to almost one third of the whole year since the reform and opening up four decades ago, People’s Daily reported on Monday. Since 2008, the State Council of China has added three traditional Chinese festivals, Qingming Festival, Dragon Boat Festival and Mid-Autumn Festival, as national legal holidays, giving Chinese citizens a total of 115 days off including both holidays and weekends throughout the whole year. The current holiday system was formed after long-term evolvement and progress. In the early years of reform and opening up, employees only had one day off every week. In 1995, workers’ rest time was doubled with the introduction of the two-day weekend. Four years later, in 1999, golden weeks were introduced and celebrations for Spring Festival, May Day and National Day began with week-long public holidays. The development and improvement of science and technology have led to a surge in production efficiency, which enables people to work less and rest more, said Wang Qiyan, director of China's Leisure Economy Research Center under Renmin University. The 1990s witnessed fast economic growth in China and with it came people’s ever-growing need for travel, leisure and entertainment, said Wu Bihu, Director of International Center for Recreation and Tourism Research at Peking University, adding that the “golden weeks” offered people more rest time and stimulated consumption. Every change to the holiday system fits the country’s economic adjustment, said Professor Wei Xiang of National Academy of Economics Strategy at Chinese Academy of Social Sciences. In the 1970s, a large number of western countries faced an income-happiness paradox, which indicates that the sense of happiness decreases against the improved per capita income, and correlates with national efficiency and per capita GDP. 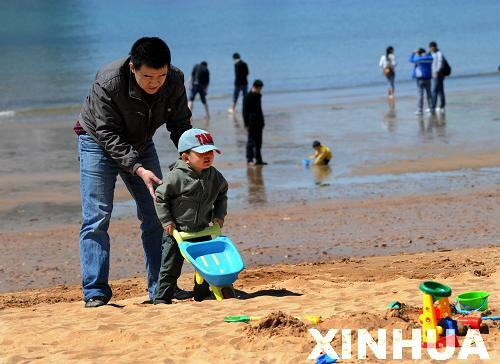 Although Chinese people are currently enjoying a growth of days off, the quality of leisure still needs improvement due to many factors, such as the backward leisure industry and education. In addition to conventional education, the government should pay more attention to leisure education and guide people on how to lead a healthy and better life, noted Wei.